The particles of the reacting need to touch to enable formation or breaking of the bonds for a reaction to happen. Collisions of particles of a reacting substance need to achieve a certain minimum energy (Activation Energy) in order to produce a reaction. Particles that collide also need to have the correct orientation of collision. The activation energy is the minimum energy that the reactants particles must achieve at the time of collision in order for a chemical reaction to take place. 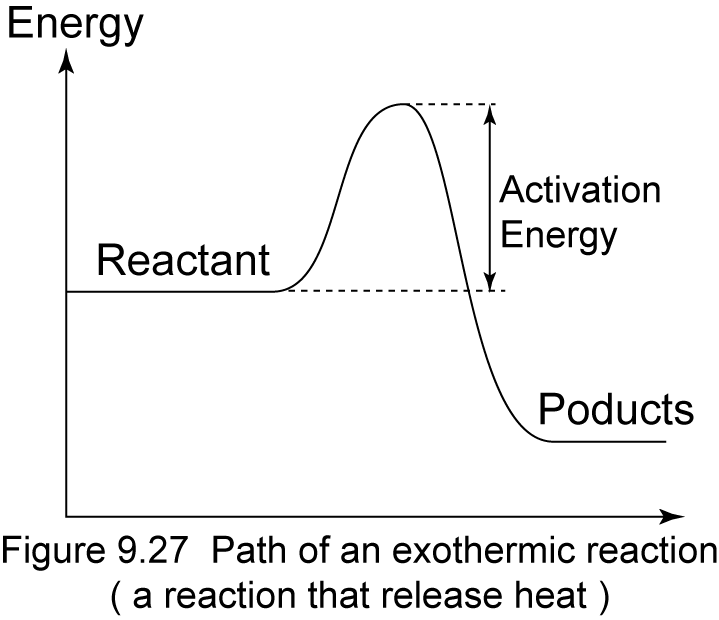 The value of the activation energy is different for different reactions. A reaction with high activation energy occurs slowly whereas a reaction with a low activation energy occurs fast. Effective collision is the collision that produces a reaction achieving minimum energy that is sufficient and with a correct orientation of collision. 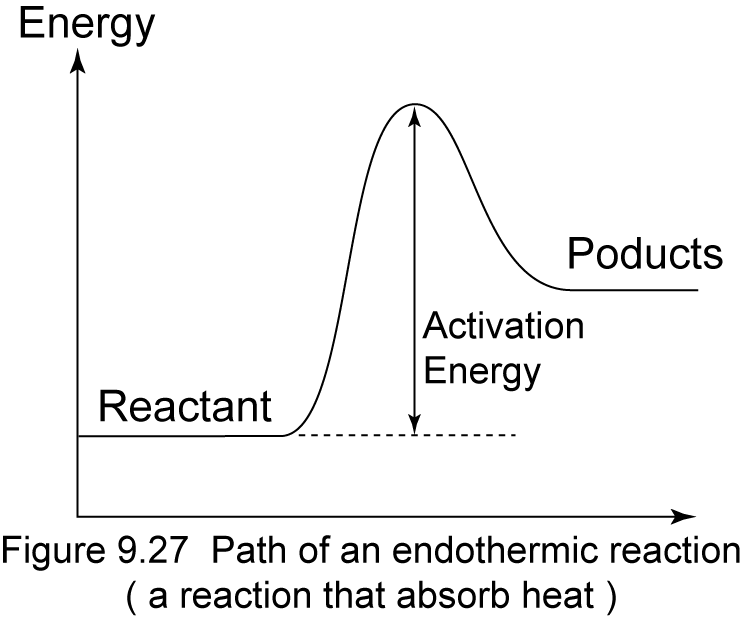 In the diagram of energy profile, the activation energy is shown by the difference in energy between the peak of the graph and the level of the energy of the reacting substance. The frequency of effective collision is the number of effective collisions which occur in 1 second. The rate of reaction depends on the frequency of effective collisions that occur. If the frequency of an effective collision for a reaction is high, then the rate of reaction is also high. When the size of the solid substance that reacts is smaller, its total surface area exposed becomes larger. This causes the collisions frequency between the reactants increases. As a result, the frequency of effective collisions also increases and hence increases the rate of reaction. Solution with higher concentration has more particles per unit volume in the solution. As a result, the collisions frequency between the reactants increases. Consequently, the frequency of effective collisions also increases and hence the rate of reaction increases. When the temperature of a reaction increases, the particles of the reacting substances move faster. When a positive catalyst is used in a reaction, the catalyst prepares an alternative path with lower activation energy for the reaction. As a result, the frequency of effective collisions increases and hence increases the rate of reaction. For a reaction that involves a gas, when pressure increases, the particles of gas are compressed to fill the spaces which are small. This makes the number of particles of gas per unit of volume to increase.